When starting a new home DIY solar energy project, one of the many question asked by a beginner is: What component parts will I need to complete my solar energy project? Before you start connecting together the individual component parts on your roof, it helps to get a good quality solar guide that will walk you step by step through the whole process of building, installing and setting up your own home solar energy system. 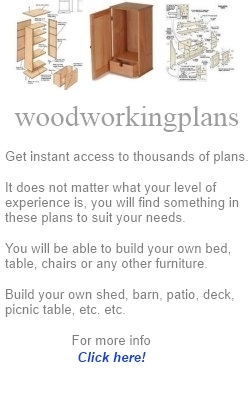 Aside from the obvious of time, tools and instructions, let us look at the basic components you will need to go solar. For installing a grid-tied solar power system for your home, there are basically 7 main components you will need and we will organize these in the order in which they will be connected into your home solar energy system. 1. 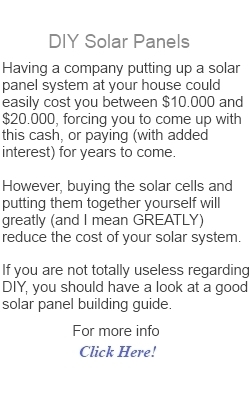 Solar Panels - In most home DIY installations these panels will be built by you from individual parts. You can order discount photovoltaic cells online, and assemble these into complete 80W, 100W, or 120W Solar Panels. But if you do not have the time or skills to build a solar panel from scratch, there are plenty of commercially available panels to choose from. Once built, individual panels are wired together to make larger solar arrays. 2. Solar Array Disconnect - This is basically just an electrical switch but is an important part of the system. It allows you to disconnect and cut-off the DC power output from your solar panels and array should any repairs be required or if there is a problem with the solar system. This disconnect switch needs to be strong enough to handle the full power output from the panels on a bright sunny day. 3. Battery Charge Controller - Most home solar systems are built with a battery backup included for when the sun does not shine such as on dull days or at night. The battery charge controller ensures that a consistent amount of electrical power is sent to the batteries so that they are not over charged, and to ensure that the backup batteries do not discharge back through the system at night. In many ways this component is similar to your automotive battery charger so will not be too expensive. 4. Deep Cycle Batteries - In order to store the solar power generated by your solar panels, your solar system will need deep cycle batteries. Deep cycle batteries are not the same as shallow charge automotive batteries which are designed with thinner lead plates for cars. Deep cycle storage batteries for solar systems are more robust and are designed for the type of charging and discharging cycles they need to endure. New deep cycle batteries are expensive but reconditioned batteries are cheaper. Better still, you may be able to get old dead batteries for free used previously in fork trucks, golf carts, and electric buggies and recondition them yourself. 5. System Power Meter - This can be optional, but it is listed here as its inclusion will give you a clear way to see how much free solar power is being supplied to your home from your solar panels. Having a system power meter also helps you improve your system to gain the maximum efficiency from your solar installation as well as having the advantage of letting your neigbours know how much money your solar system is saving. 6. 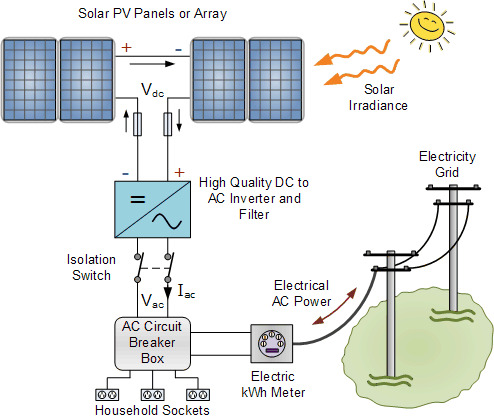 Solar Power Converter - Your solar panels generate DC power, and your home runs on mains AC power, the solar power converter converts the solar energy from the panels into usable energy in the home by providing the DC to AC conversion using electronic switching techniques. In practical terms, the converter allows us to run electric drills, computers, vacuum cleaners, mains lighting, and most other mains electrical appliances that can be plugged into the wall sockets of your solar panels. There are many square wave, sine wave modified wave converters on the market but a good quality 1200W converter likely won't cost you more than $100. 7. Backup Power - This for when the sun does not shine and the batteries are empty. Most systems will include some sort of backup power. In a stand alone installation this would generally be a diesel generator. In a grid-tied system the utility grid itself would provide the backup power through the converter. But a backup power source can also be a wind turbine or a water wheel as part of a small scale hydro system. Once you have your 7 components installed, your solar power system gets wired into your normal home electrical panel and unless you are qualified, it may be necessary to get a qualified electrician to connect up the system. Now that you know what 7 components you will need to get your home solar energy system up and running the savings made on building your own panels and sourcing the materials will more than pay for the additional qualified help. So whether you build your own solar panels from scratch or buy pre-made commercial panels, using solar energy to power your home can be easier than you think. With a grid connected system you can even sell excess electricity you do not use back to the utility company who have been selling it to you for all these years giving you an additional income. Alternative Energy Tutorials is dedicated to helping and showing you what you need to make Solar Energy a reality, and to help you on your way consider downloading one of the DIY solar guides about homemade solar panel construction from the tutorials website ensuring that you have the necessary information to get your solar energy installation working efficiently and effectively the first time. To learn more about "Solar Energy" and how you can use it to power your home, or to explore the advantages and disadvantages of using Solar Energy as an alternative energy resource, visit http://www.alternative-energy-tutorials.com today and find lots more good quality and free Alternative Energy Tutorials as well as information and articles about the many different types of alternative energy sources available for the home.